Contact us today with inquiries or for further information on Wiley Advantage Audit powered by AuditFile. 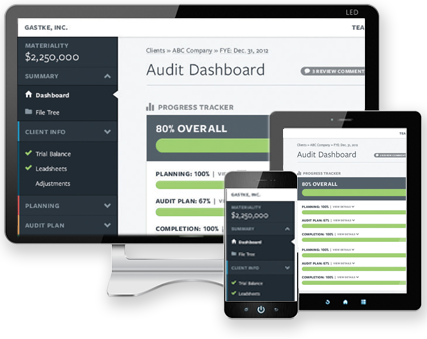 A cloud-based, all-in-one audit program and planning system that lets your team work whenever and wherever they choose, from any connected device. Wiley Advantage Audit’s trusted, industry-specific audit guides combined with AuditFile’s secure audit automation solution empower your team to perform efficient, quality engagements profitably. The new Wiley Advantage Audit powered by AuditFile allows auditors of non-public companies to become more efficient by eliminating the confusion and redundancy of other practice aids and intelligently automating the entire process. Each of the audit guides included in the software is customized for a particular industry, and our audit guidance is designed to maximize audit efficiency best practices. Don’t settle for the “one size fits all” approach—different industries have distinct attributes that require customized audit approaches. Each audit guide is specifically tailored for a particular industry audit, to save auditors time and effort. Certain Wiley Advantage Audit materials have undergone a QCM review conducted in accordance with standards established by the American Institute of Certified Public Accountants. See here for the QCM report and related acceptance letter, which includes important other information such as an identification of the materials included within, or excluded from the scope of the review. 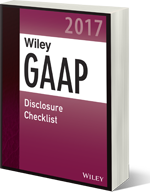 The Wiley Advantage Audit 2017 guides were added in June 2016 to cover all audits for tax year 2016. The 2017 guides are updated for all pronouncements through January 31, 2016. Not sure the new Wiley Advantage Audit powered by AuditFile is right for you? Why Choose Wiley Advantage Audit powered by AuditFile?